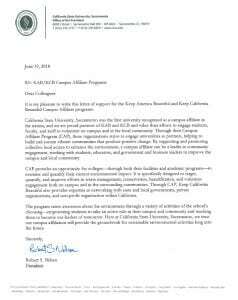 Keep California Beautiful (KCB) and Keep America Beautiful (KAB) are partnering with Universities and Colleges to produce positive change through their new Campus Affiliate Program (CAP). 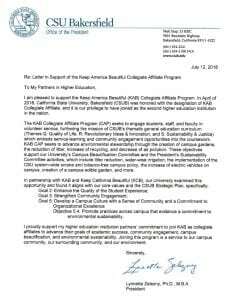 Campus Affiliation with KAB and KCB will provide an opportunity to recognize existing campus green teams, faculty facilitators or sustainability organizations efforts. The program is designed to raise awareness about the environment through activities of each school’s choosing. KCB believes that the knowledge and experience obtained in college shapes not only the future of students, but of the world as well. Ideas and practices adopted in the collegiate setting continue well past graduation. To encourage and support environmental stewardship, KCB has begun partnering with universities to teach students about the role that sustainable practices have in creating a positive future for California. Why Should A Campus Join? Become eligible for Affiliate grant programs. Sustainably hosted on solar powered servers by SustainabilityIntelligence.com.